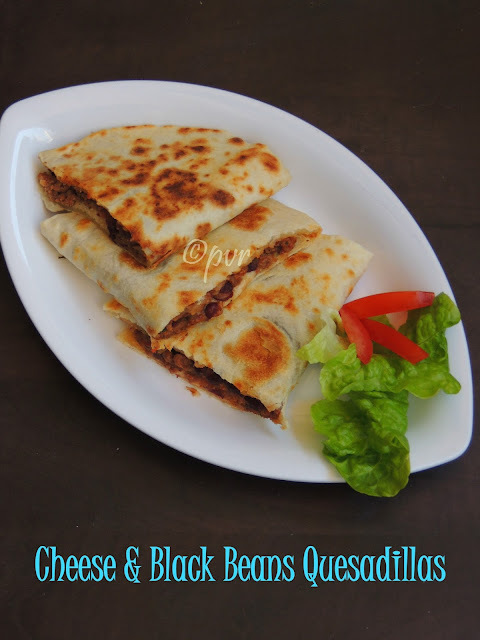 Quesadillas, is a sandwich like flour tortillas or corn tortillas filled with any savoury mixture having cheese, vegetables etc, later they are cooked in a hot griddle and folded in half to form a half moon shaped sandwich.Quesadillas have been adapted to many different styles. In the United States, many restaurants serve them as appetizers, after adding their own twist.Some variations are: goat cheese, black beans, spinach, zucchini, or tofu. A Scandinavian treat uses a lefse (thin potato pancake resembling a tortilla) containing brie cheese and lingonberry jam. Even dessert quesadillas are made, using ingredients such as chocolate, butterscotch, caramel, and different fruits.We are great fans of quesadillas. Whenever we go to Mexican restaurant, we never forget to order quesadillas. We love it that much. Wraps are easy to carry and definitely a filling meal one can have happily even if they are in hurry. 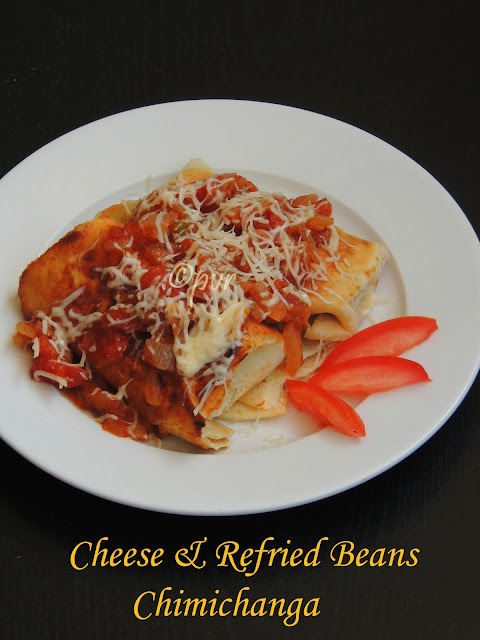 Simple to make and healthy as well depending upon the filling you goes for. Most of the wraps are prepared with either meat or vegetables, i tried my hands in making a protein loaded nutritious wrap with a spicy chickpeas filling. Actually i was planning for a grilled vegetable wrap but some cooked chickpeas left in my fridge pulled me to make this super healthy and satisfying wrap. As i told in my previous post, this is my second post of tortilla based dishes. 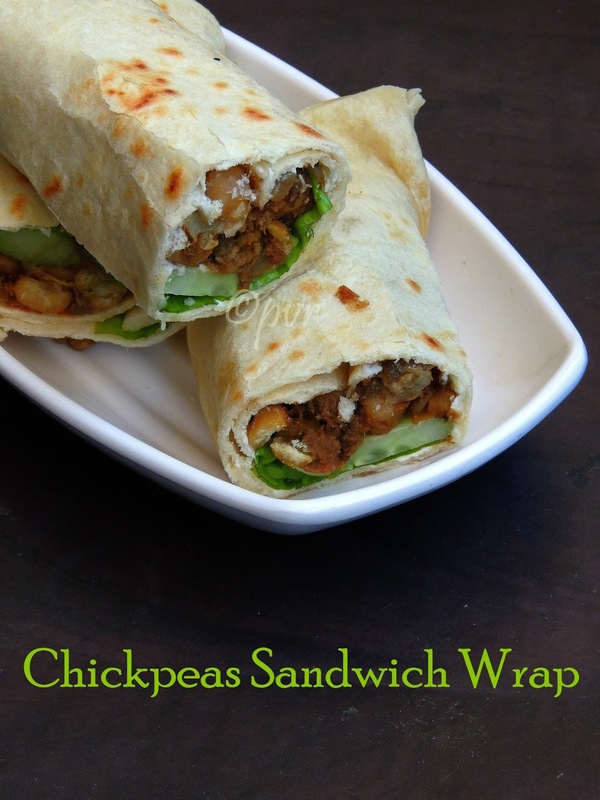 After chimichanga, this spicy chickpeas sandwich wrap was a big hit especially with my kids. H liked it but he asked some shredded chicken salad to have along with, he missed the meat part in this wrap, however we cant satisfy everyone at home. Am gonna share three different tortilla based dishes this week, tortillas are the flatbreads made from either all purpose flour/wheat flour or else with corn.These soft breads are easy to make and they are almost rolled like Indian rotis. I love to make tortillas as at home as they go for simple ingredients. Flour, baking powder,salt and butter or shortening is quite enough to roll out homemade tortillas, this time i prepared mine at home from scratch, i have already posted how to make homemade flour tortillas here. We love Mexican foods very much after Thai and Moroccan. Whenever i feel like making Mexican dishes at home, everyone at home will definitely ask for quesadillas, if you check my space, you may notice that i have already tried couple of quesadillas. Can you imagine watching a movie without munching popcorns, definitely its a hard task for me. I just love popcorns very much. Either its savoury or sweet, i never give up popcorns for any reason if we plan to watch a movie. Popcorn are easy to make and my today's post goes for baked salted caramel popcorn. Just pop up the corn kernels as usual, then these popped corns undergo a sugar bath,once baked these cuties makes an excellent munchies while watching a movie. 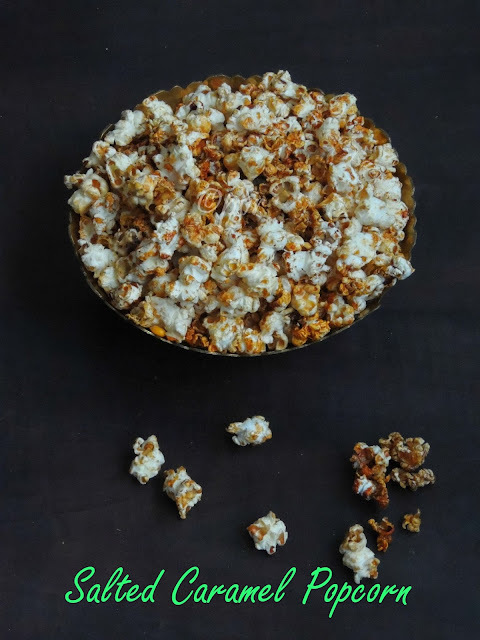 This baked popcorns are very easy to make, dangerously addictive.This baked version tastes much more delicious than the usual store bought caramel popcorns i get usually from super markets. 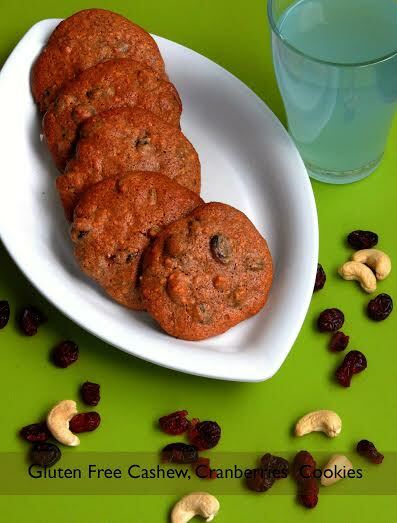 Recently i tried my hands in making a fantastic starter aka snacks with raw banana aka plantains, yes i tried kola urundai with this incredible vegetable. Usually kola urundais are prepared with minced meats, but somehow we do make kola urundais with veggies like yam,banana blossom. 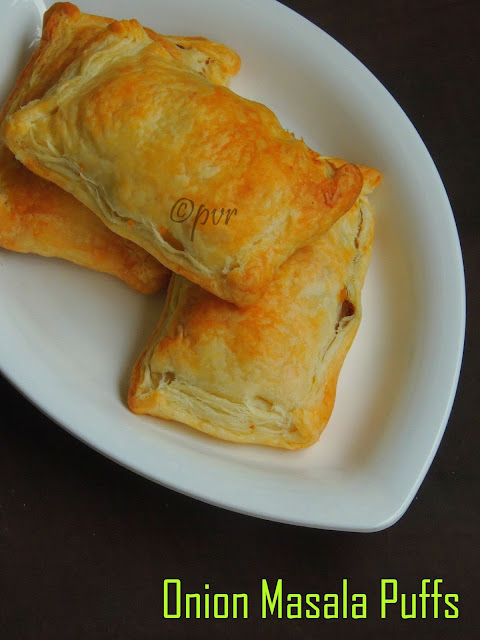 Since i chosed this week's blogging marathon with Snacks for a movie date as theme, am posting this dangerously addictive and very crispy snacks. 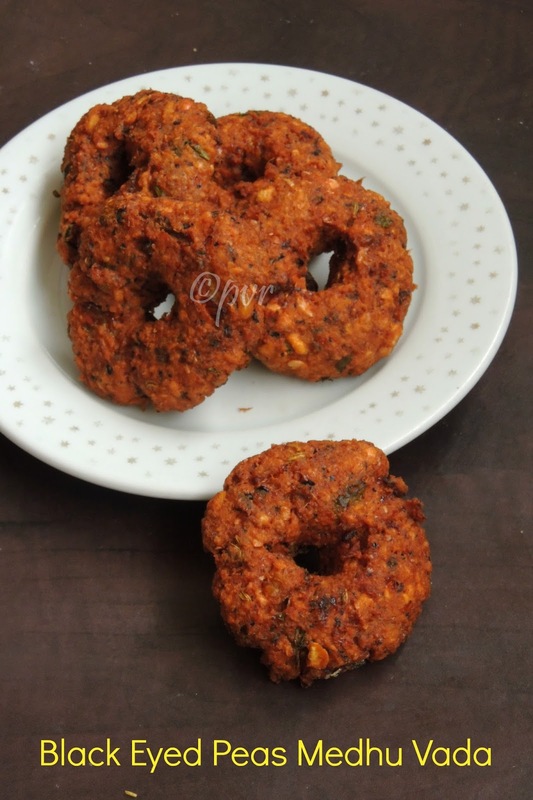 Medhu vada is quite a popular South Indian deep fried snacks and this crispy outer and spongy inner vadas have their special place in a festival menu or during a vegetarian feast.Usually medhu vadas are made with black urad dal but many varieties do exists and i have already tried couple of medhu vadas, my today's recipe goes for an another interesting medhu vada prepared simply with black eyed peas and urad dal, both works awesome together and this combination rocks.This medhu vadas are definitely a gluten free indulgence and one can munch this crispy beauties without any guilt.Sending to Kalyani's Monsoon Mojo Event.. 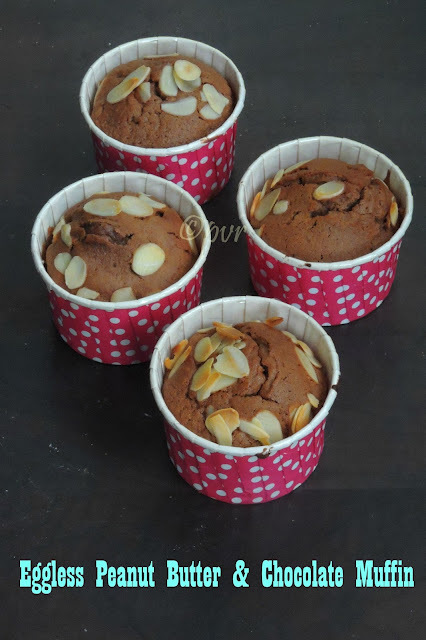 I have heard a lot about baking with beans especially in brownies, everytime i want to make brownies with beans either i'll drop my plan or else i wont have sufficient beans to give a try. But this time i dont want miss trying my hands with beans in brownies. Actually black beans works awesome in bakes especially in brownie. When i had some cooked leftover black beans sitting sadly in my fridge, i couldnt resist to give a try to this fudgy like orange flavoured black bean brownies. 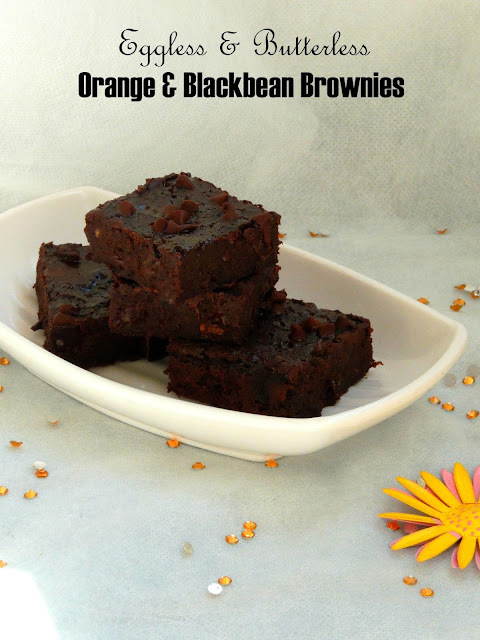 Trust me this brownies came out extremely awesome with a mild orange flavour.But one thing, dont say to anyone that this brownies are made with black beans, dont reveal the 'secret ingredient' until they finish their dessert. Gluten is a protein presents in few wholegrains to which many peoples and kids are allergic now. 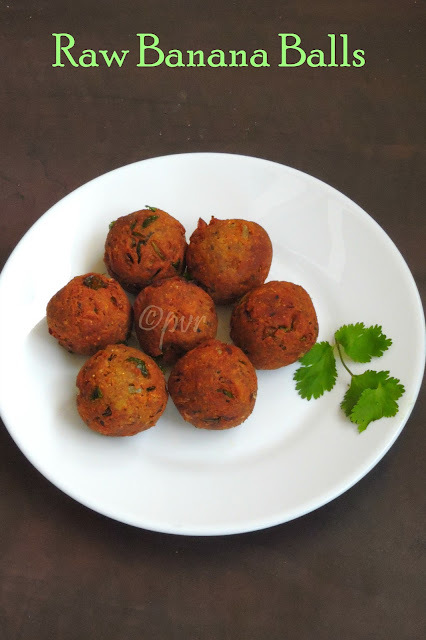 Obviously it exists so many gluten free dishes, if you check your daily menu well am sure you may atleast a dish with is definitely a gluten free friendly dish. When i came to know about this gluten intolerance during my internship in creche , i was bit surprised as this intolerance is quite dangerous to a kid. If a kid have to intake gluten free dishes, we need to check every food we are feeding him/her with. You have to read carefully every ingredients used in a store bought products before dishing out foods with it. Gluten intolerance is very much known nowadays in France and many organisations are doing wonderful job in creating awareness among the young moms or future moms. Did i told you, i did a diploma course for the past 9 months and waiting now to finish the exams next week. During this course,i have to carry my lunch from home as my course center is far from Paris. Obviously after having a long hectic day with my studies, i usually go for easy breezy dishes for our lunch, yes i pack lunch boxes for everyone excepet my elder son. During this 9 months course, sometimes i go for super easy simple rice dishes,needless to say most of the dishes i usually prepare for our lunch will always have just a vegetable and some spice powders. No chopping for hours or sauting for hours. 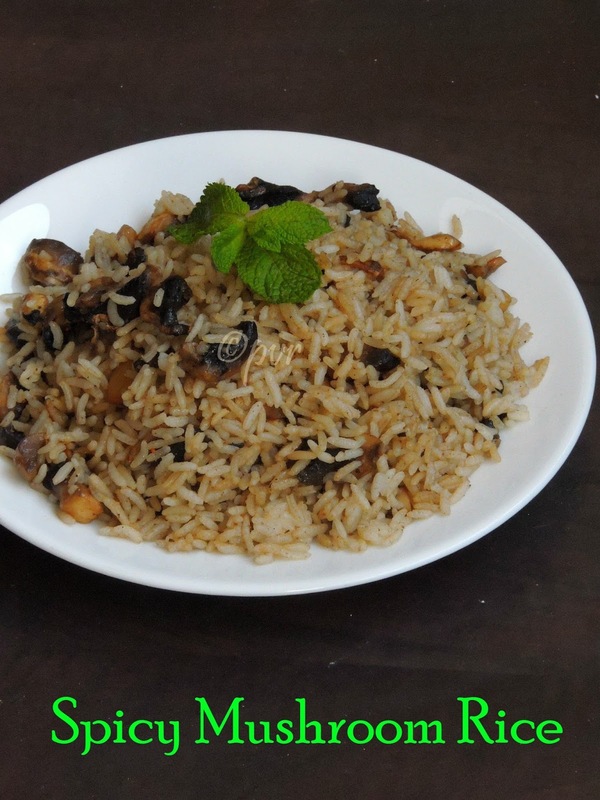 One of my trial during those busy days is this Simple, quick and easy spicy mushroom rice. Just chopped mushroom chunks, cooked rice and garam masala powder is quite enough to dish out this incredible lunch box rice dish. Sunday brunch have their important place in our menu. Actually i try to dish out easy peasy dishes especially for weekend brunch. 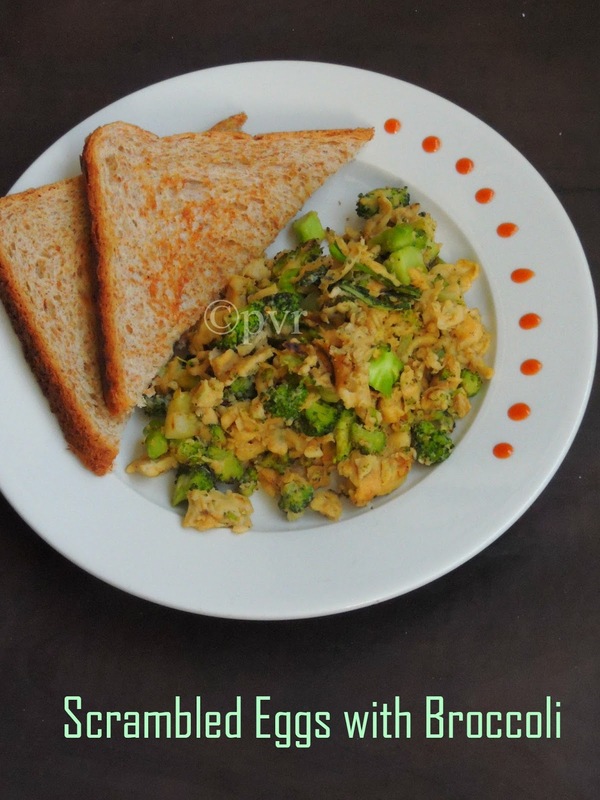 And this week's sunday brunch was this toasted bread slices with broccoli scrambled eggs. You can just dish out this scrambled eggs just with usual ingredients. Loaded with chopped broccoli florets, needless to say how healthy and delicious this scrambled eggs will be. An excellent accompaniment to serve along with slightly toasted bread slices, even kids will definitely enjoy this healthy scrambled eggs. If your kids arent big fans of broccoli florets, you can make this same scrambled eggs with their favourite vegetables. Blogging took a back seat because of so many sudden changes in my life. One of the main reason for my sudden disappearance as my lappy was completely dead, then follows our LCD tv and later my oldy goldy PC. Obviously i totally lost without all these gadgets and finally H got a new lappy just last week. Obviously had some hard time with my cellphone and found that its seriously very difficult for me to live without all these gadgets. OK let me stop my blabbering, after skipping few weeks of blogging marathon coz of my lappy, am running this month's first week. I seriously missed blogging marathon, thank god finally am back.